The International Human Rights Commission (IHRC) committee on civil/military affairs has said political thugs disrupted the March 9 Gubernatorial and House of Assembly Elections in Rivers State and not the Nigeria Army as alleged by the state governor and the Independent National Electoral Commission (INEC). 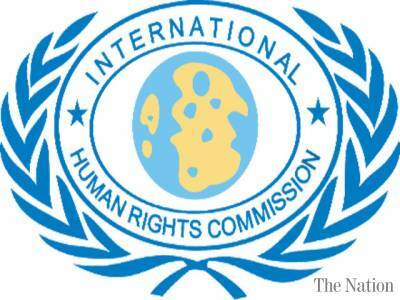 The IHRC in a preliminary report of its fact finding committee it instituted to ascertain the veracity of the allegations and suggest ways of avoiding similar reoccurrences in the future noted that the Army in collaboration with other security agencies acted in defense of the electoral process. INEC had alleged that collation centres in Rivers State were invaded by some soldiers and armed gangs resulting in the intimidation and unlawful arrest of election officials thereby disrupting the collation centres. However, the preliminary report by the Committee on Civil/Military Affairs of the International Human Rights Commission signed by , Dr. Edward Adamgbe and submitted to President Buhari, Senate President, the National Security Advisor, Chief of Defense Staff, the Common Wealth Secretariat London, European Union and the Embassies of the USA, British and France obtained by this Newspaper explained that the Army was rather the victim in the electoral process. “Those who actually disrupted the gubernatorial and House of Assembly elections in Rivers State were political thugs and the Army in collaboration with conventional security agencies, where necessary, only acted in defense of the electoral process. The number of military casualties alone points to the fact that the Army was rather the unfortunate victims of Rivers State political violence with INEC collaboration”. The Rights group also picked holes with the manner the INEC handled the situation pointing particularly to the hastened press statement of march 15 by INEC. “For INEC to come up with claims that results were collated in 17 out of 23 Local Government Areas when only 7 were actually collated shows that the Commission was not meticulous or neutral, it is also evident that the suspension of the collation was not properly thought out and implemented with national interest. The report further submits that a lot of awareness needs to be made for Nigerians to appreciate the role of the Army to wade off the negative impression the people have of the security agencies especially as it concerns elections in the country. It said findings show that in the past and up till 2015, political thugs acting on the prompting of the party in authority would disrupt the process while security operatives looked the other way. The preliminary report will be presented to members of the general public in Abuja on April 12 while the detailed report will be available in May.